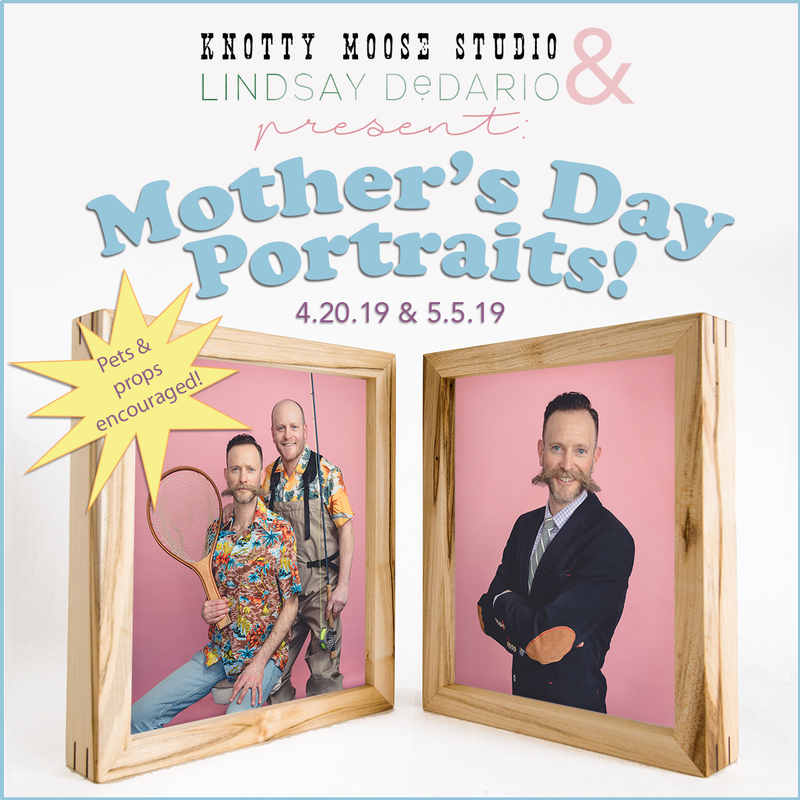 Sign up for Mother's Day Portraits and receive session and framed picture for your mom! Give your mom what she really wants this year, to see more of your precious, smiling face! Grab your siblings if you’ve got ‘em and sign up for a session below! Knotty Moose Studio frames will be available to pick out during your session! $20 deposit reserves your spot!